Lightly grease two doughnut pans with cooking spray. 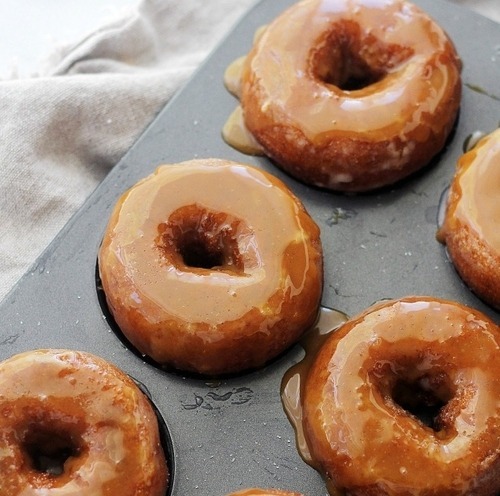 If you don’t have a doughnut pan, you can use a standard muffin pan, instead. Set aside. Combine flour, salt, baking powder and pumpkin pie spice in a mixing bowl; whisk until thoroughly combined. Set aside. 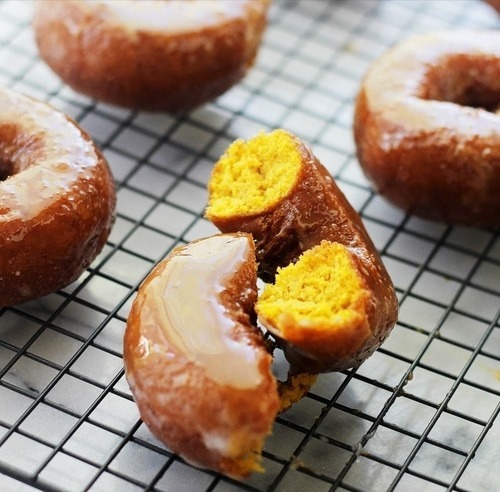 In your mixer’s bowl beat together vegetable oil, eggs, sugar and pumpkin puree. Add flour mixture and continue to beat until well combined. 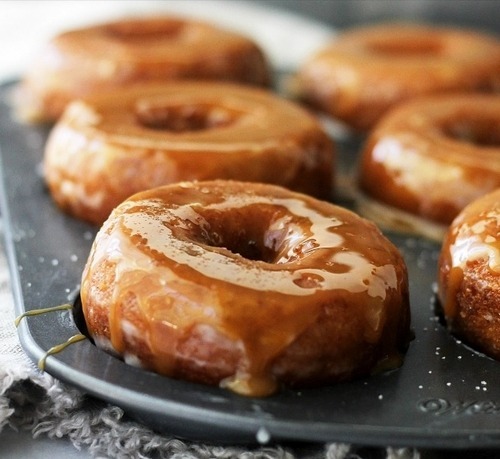 Fill the cavities of the doughnut pans ¾ full. Bake the doughnuts for 15 to 18 minutes, or until a toothpick inserted in the center comes out clean. If you are using a muffin pan, bake for 25 minutes. In the meantime, prepare the Salted Caramel Glaze. Combine all the ingredients in a mixing bowl and whisk until completely combined and smooth. 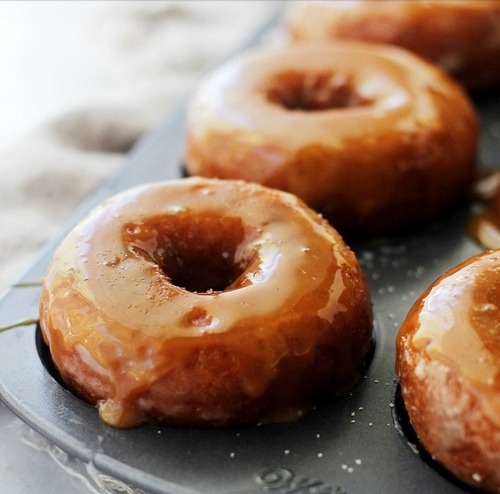 Dip the cooled donuts in the glaze and serve.